Say that you had collected 200ml(well done!) of milk but your baby’s intake is only 120ml per feed, you should separate the expressed milk in 120ml and 80ml. You can choose to store in sterilized milk bottles in the fridge or in a sterilized milk bag available from retail outlets in the freezer. Always remember to mark date and time when the milk was collected so that you will allow baby to consume first-in-first-out among the stock. What a warehouse! Remember not to clutter your fridge or freezer as this will affect its temperature. General guide on lifespan of breast milk as follows. 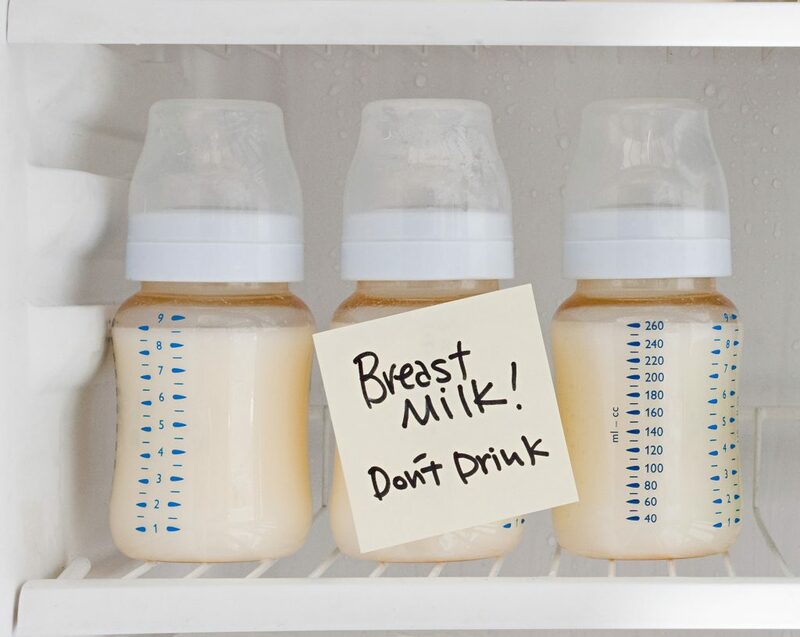 Should your milk exceed the recommended time span, discard it as it may be contaminated and unsafe for baby’s consumption. Milk stored at room temperature (25°C) can stay fresh for 4-8 hours whereas milk stored in the refrigerator (0-4°C) can be stored for 2-3 days. Lastly, milk stored in the freezer (-18°C) can stay fresh stay for 3 to 4 months. Since there are variations as to how long the milk can stay fresh, always use your natural sense of smell to determine the quality of milk. Stale milk will smell awful so you will never go wrong. Milk warmers often do a good job by warming up the milk at the right temperature and timing. If you do not have one, warm the milk from fridge by running through the tap for 10 seconds before steeping it in mild hot water. If you need to warm the milk from freezer, thaw it in the fridge overnight before warming. Remember to test the temperature of milk before giving it to baby. Discard and never refreeze unfinished milk because it can be contaminated during the process. Once you had thawed you milk, keep it in the fridge and consume it with 24 hours. Never refreeze your thawed milk.